I give up reviewing and put it to bed. It is not to say my featured artist is not fantastic- they very much are- it is the fact its interest and fascination has decreased. It may seem like an odd thing to announce, but in the next month I will be closing the blog down- reviewing only from 2015; maybe doing the odd review here and then. It is not down to the fact that the quality of music is decreasing- there are some less-than-impressive moments but it is the same as it ever was- the fact is that bigger things await. Having recently announced a forthcoming charity fundraiser- I am starting to focus my attention outwards. Not too much good can be achieved from certain endeavours; the only way you can do well is to think of others- less fortunate and make a stand. Too few current acts look towards others and help the general community- there is a consensus towards inner ambition and personal campaigns. My general point is that life is throwing things in front of my. My home life can only be described as horrendous- stuck in an atmosphere I detest and drains every ounce of me. Lack of finance and extreme fatigue is sapping the life from me- music and escapism is my only form of comfort and positivity. Aside from my better and bigger plans; the movements away from day-to-day predictability- great new acts are still surprising me. In spite of the fact some recent review subjects have not shared my work- something that makes walking away so much easier- the sounds and variations are deeply impressive. One of the biggest woes- when looking at new music- is the homogenization and lack of originality. With every new band or act, you can always predict what is coming; you are never blown away and the mind is rarely nurtured- when a great act does come along, it always makes the week more bearable. Over the last few months, few artists have genuinely resonated in the imagination- the pressure really does seem to be on. In the modern scene, you need to offer a lot more (than what you think); step aside from derivative tendencies and come up with something unique and fresh- so few musicians come across as different and striking. For every wonderful and genuinely great act, there is a hopelessly tedious and banal band; a stunningly awful Pop artist- it is not the way to inspire the new generation of musicians. Stepping away from the negatives of reality, there are some acts that get the point- know how important it is to stand out from the crowd; not just plod out the same woeful standards. Luckily, my featured act has something about them; combinations and sounds that have entertained and compelled my mind. Blackburn Hall is a Canadian collective that are a little sparse (at the moment). In terms of social media output, it is a little lacking- In need of some proper biography and back story; a bit more flesh and body to their Internet spread. It is hard to dig up too much information about the band; where they are heading- how they have come into existence. Hopefully this will be rectified as soon as possible, because the Ontario band is one of the most distinct out there. I have received hordes of review requests from Ontario musicians- no idea why the hell the rest of Canada is so quiet and dull; it seems this part of the country are awake and genuinely ambitious. Blackburn Hall does not need to stress too much about their visibility and brevity- the reviews coming in (for their debut L.P.) have been hugely positive and impressive. Peter Hall’s new crew has turned in an album filled with crunchy and hard riffs; compelling moments and diversions- consistency that is not to be overlooked. Too many modern acts negate every necessary consideration- they do not produce solid albums; their sounds are not varied; they seem to lazily string together riffs and ideas. Blackburn Hall has shown just how flawed pragmatism is- there is so much gold to be found in idealism and rebellion. Their Self Titled (missing as it is a hyphen) cut is rife with packed and busy tunes; orchestral sways and grand moments- plenty of mesmeric riffs and dizzying choruses. Canada is one of the most fervent and stunning musical nations of earth- producing some of the most brilliant and joyous bands of the moment. It would be nice for acts outside of Ontario to get their arses in gear, but geographical stubbornness is outweighed by overall quality. One of my biggest regrets- about my current predicament and tiredness- is the sacrifices I have to make. As a musician and writer, I am limiting my ideas and output; having to put plans of the backburner. As a campaigner and organiser, I find my time lacking and precious- real life tends to get in the way of everything. It is great being a functional member of the workforce; having a regular job and earning money- reviewing has never earned me a penny. The thing is, the daily commute is taking so much energy away from me- my great ideas and plans are being marginalised and reduced. I guess that is the price you have to pay; there is never a good moment to get the best of both worlds- music is the outlet and sanctuary that everyone clings onto. When new music is unsurprising and mediocre, the listener needs to look elsewhere- rely on the dependable charms of the best of music’s history vault. When sapling acts get the blood rushing, then something great can happen- all those off-putting others seem less relevant and grating. Blackburn Hall has taken the time to craft music that provides nuance and quality. They are not the product of a marketing campaign and copycat instincts- the ensemble are among the most talented musicians about. The former A Northern Soul pioneer has amassed a sturdy and scintillating conglomeration; a clutch of musicians that provide classical minimalism; Rock glory and multilayered variegation- sounds that you can never see coming or predict. It will be great to imagine Blackburn Hall arriving in the U.K.; introducing their particular brand of song to our waiting ears- we have few comparable acts over here. In a heaving sea of generic riffs and posing band pretenders, it is nice to hear a shake-up; unconventional wisdom that has maturity, youth and passion- embers and realities that far supersedes the watered-down soup of the majority of contemporaries. I shall not rant and moan on, suffice it say, it is refreshing to hear an act that does not take the easy way out- there is craft and intelligence to their music; a mixture of simplicity and complexity. When looking into previous work, it is hard to draw up too much backstory. Blackburn Hall is a relatively new and fresh endeavour. Hot off of the blocks, their current album is their most completed and fully-fledged work- the real chance for the public to witness an incredible and stunning band. The tracks on offer- within the L.P. - are rife with difference and diversity. It is hard to really pigeon-hole and label the music- putting it into genes- the best way we can look at Blackburn Hall is through the complete picture- the sort of sounds and songs that are being offered up. Many reviewers and critics have pointed out how varied and different the work is; how many different strands and avenues are crammed together- without it sounding forced or scattershot. What Blackburn Hall do is to convincingly master every genre they play- the experimentation and authority is hard to ignore. When listening to their album, I was taken aback by how mesmerising it was. With each new song comes new ground and fascination- it bodes well for the future. It will be hard to see where the band will go from here- whether they produce another album; an E.P. or single- what they will choose to do. I would love to hear another come forth; see if the guys stick with their varied sound- or hone it slightly. What you can guarantee is that (whatever comes) it will be packed with huge quality and surprise. Few bands have an overall sound that takes in so many different possibilities; that which can entertain and seduce a wide range of listeners- make everything sound completely natural and complete. Blackburn Hall has plenty of ammunition and longevity appeal- they will be on the scene for a fair few years. Most bands and acts start out quite timidity; lack bravery and instant charm- choosing to put out a single or E.P. to get things going. If you do decide to pull together an L.P., you have dangers present- is it going to appeal to listeners that are encountering you for the first time? Not only does it have to hold the attention- which is remarkably short today- but result in repeated demands and fevered praise. Being a (music) market filled with disposability and short-term lust, it is harder than ever to make your mark. Blackburn Hall has enough confidence to go in all guns blazing- put out an album that is going to leave everyone (that hears it) satisfied and won over. When it comes to like-minded acts- one could compare with Blackburn Hall- there are few to choose from. The band has such a distinct style, yet has been influenced by a few select bands and acts. Death Cab for Cutie is an act that has had a bearing on the Canadian act. If you look at an album like The Photo Album- the band’s 2001 work- it shows a lot of inspiration and drive. The infectiousness of the music is only matched by the catchiness and sheer energy- the amazing range of moods and stories is enough to win over the steeliest of hearts. Stream-of-consciousness vocals mix with confessional verses and aching performances- the vocals are heart-aching and uplifting throughout. The melancholic piano and guitar moments are some of the most emotive and tender (of the time)- you can hear some of this come through in Blackburn Hall’s album. The observational lyrics and cutting riffs add electricity and vibrancy to surroundings- something the Canadian collective have taken into their work. Upward trajectories and optimism lurks alongside some downward arches and draining emotions- the mixture and balance is pretty perfect. The Photo Album contained perfectly crafted songs and wonderful moments- it inspired new legions of fans and compelled contemporary acts to follow suit. Daydreaming music was a soundtrack to pocket-size epics; slice-of-life dramas that hooked you and amazed the mind- the brains and emotions on display were of the highest caliber. Listening to the album and you get a glimpse into a remarkable act- one that understands the importance of quality and keeping things fascinating. Blackburn Hall have taken this to their chest and presented their own version of events- distilled all of their multiple charms and possibilities into a stunningly cohesive and nuanced record. The Weakerthans are an act that many would not have heard of. The Canadian Indie-Rock band may be well known in their native country- perhaps few of us here are aware of their work. Left and Leaving remains one of their essential masterpieces; one of the greatest Canadian albums of all time. From the striking and perfect album cover, what you get within is a political message in one- a statement that has its heart within political considerations; the brain and body with more melodic and traditional elements. The staggering wordplay throughout caught many listeners agog- the literacy and intelligence throughout is of the highest order. With stunning production values and atmospheric grandeur, the album is as true and distinct as any- a guiding light into another way of life; a way to live without having to apologise. The truisms and insights have compelled a lot of current acts; including Blackburn Hall- there are similar and familiar edges within Self Titled. Attack in Black is an act that has made a mark on Blackburn Hall. A fellow Ontario Rock act that take in influences like Neil Young and The Ramones to create Folk-Punk gems. Although Attack in Black pack in fewer instruments and sounds (than Blackburn Hall) the quality and wonder. Attack’ has shown themselves as a tight and militaristic unit that has amazed critics and followers. Albums like Marriage remain balanced and deep- merging ballads and soft numbers with upbeat stadium-sized themes and epics. The band remains original and truly distinct. Limiting themselves to traditional components- bass, guitars and drums- they manage to supersede expectation and hone songs that are sharp and stand-out- they have teeth as well as passion. The final acts I want to bring in are Julie Fader, Huron and Terra Lightfoot. On Facebook and social media, Blackburn Hall has called these acts influences- looked to them when creating their album. Fader is a Canadian songstress that is a celebrated and adored artist. Her album Outside In featured none other than Peter Hall- our hero and front man. The gorgeous Canadian crafted an album of exquisite music; songs that touched the heart and enflamed the mind. Whilst relatively quiet for the last few years, her 2009 L.P. remains a huge accomplishment- an L.P. that has compelled a lot of her country mates and musicians. 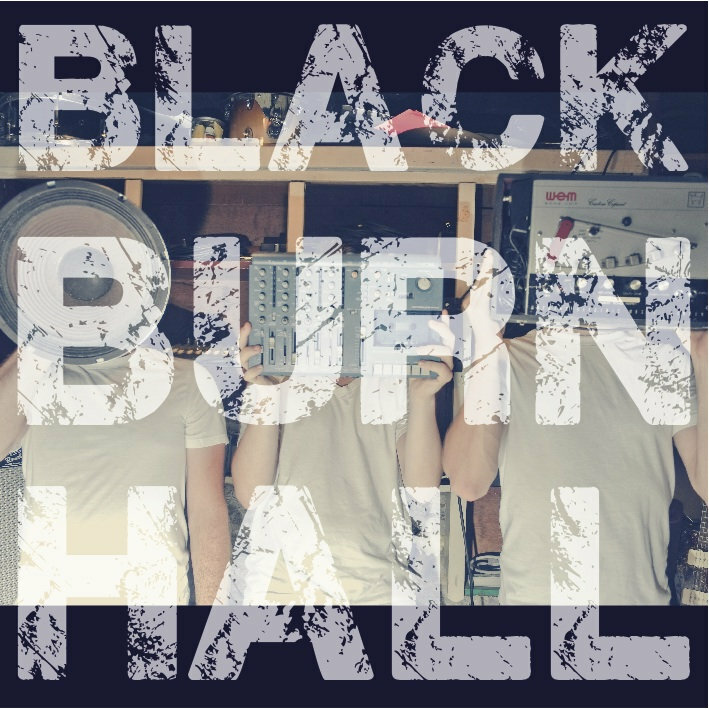 Although Blackburn Hall are a core trio, the musicians and sounds they bring in gives the impression of something larger and grander- they whip up huge atmosphere and epicness. Huron and Terra Lightfoot represent two very different sides of the music world. When thinking of Lightfoot, it is hard to overlook her beautiful talent and amazing appeal. Not only a wonderful musician, she remains hugely influential and gripping. These acts have all have an impact on Blackburn Hall- enforced their sound and inspired their direction. Our intrepid trio has managed to push away from convention and write music that is very much their own- you are loathed to compare them with anyone else. It is best to judge the boys on their own endeavours and what they have come up with- an album filled with treasure and stun. In a placid and plastic music scene, it is great to hear an act that has their own voice and direction- they are not second-par and copycat pretenders. Not only is Self Titled a brave and bold statement, it is a record that keeps on giving and offering- not easing from your brain for a very long time. For any bands that are uninspired and stuck in a rut- they could do with taking a leaf from Blackburn Hall’s book and providing something unique. Plenty of passion and Rock spars with tenderness and catchy riffs- a boiling pot of magic and variegated pleasures. The band are shaping up to be one of my best discoveries from 2014. 49 begins hard and intently. A catchy and passionate riff welcomes events in- the Rock feel is cemented straight away. After an infectious coda, our hero steps up to the microphone. As the story unfolds and images are laid in, that constant energy and impassioned mood keeps strong- little flecks and electricity jolts add and augment the layered sound. Our hero keeps his voice levelled and firm- never allowing it to burst and explode at all. Shotguns, stark characters and vivid landscapes are all laid in; the atmosphere builds and the scenic drive grows in expectation and meaning. A central character is described and followed- someone who was never seen again. With infectious and repeated codas, the track has that festival feel- the sort of song that could be chanted from the fields. One of the biggest and most rounded compositions; it is a stunning way to kick the album off. Our hero asks dera mothers to “hold on”- his voice straining and romanticised. Without warning, the track builds and becomes jagged; stuttered and fragmented riffs blend with a fuzzed-out guitar sound; our man lets his voice pervade and campaign- imploring hearts to keep alive. It is strange how quickly the song completes its assessments- it has such a relentless pace and quality, it seems to end before (the listener is ready). Ghosts In The Wall begins with demented, contorted and snarling electronics; sounds that mesh and mingle- a car crash inside a nuclear holocaust. With flavours of Muse and Queens of the Stone Age, it is another triumphant start that has the listener hooked in- quite a startling and stunning introduction. Primal and galloping, the track shows its teeth- before opening up into something lighter and catchy. The boys keep things tight and focused in the early stages; never allowing themselves to wander or lose attention. The song’s subject is haunting and fearful; at night the secrets are lodged in the walls- spectral visions and weird scenes fill the mind. Melodious and warm, there is a sense of comfort to the song. As our frontman looks at small victories and tired ghosts, it is another vivid and original track- one where the words are almost as encapsulating as the music. The band unite splendidly throughout; enver missing a step or beat, they summon a hugely impressive composition- one that has as much heart and pride as it does lust and barbed wire. Echoed and wailing strings parabond with hard-hitting percussion and driving bass- the song never lets its grip go. Switching between memorable and light-hearted verses and tight and edgy rhythms, the song has a terrific dynamic- one that is emotional and urgent. Nobody can deny the charms and qualities of the song; it is an addictive song that is quotable and alive- energy and momentum lodge inside your brain. As it comes to an end, you have heard two different sides to the band. Hard to compare with any other acts, Steel & Wire is another new step- a song that starts off impressively. Rambunctious and delirious, the swirl of electronics, percussions and keys is a terrific blend. A soft and swaying song, our hero is at his most tender and passionate here. The vocal performance is filled with life and intention- his words look at fevered babies and fires burning. Trust and unity are subjects that are explored; darkness and lighter moments are investigated- it is a song that gets you thinking and imagining. Chorused vocals and choral affects add beauty and serenity to the number; the steel and wire (of the lead figure) eyes is as sharp and striking as the song itself. Possessing a distinct kick and constant movement, a huge and emphatic 1-2-3 is completed- few bands go in so hard and meaningful. With a title like Echoes Beat Louder Than Drums, you might be expecting something epic and huge. The opening moments have a calm and sense of demure. Romantic and lush guitar edges blend with serene and smooth vocals- the cavalry is building and eyes are dead-set. One of the album’s shorter numbers- it is still nearly three-and-a-half minutes- it is no slouch at all. Whilst not as bombastic and memorable as the likes of 49, it is another track that showcases Blackburn Hall’s myriad sides and talents. It is perhaps the vocal turn that impresses the most. The band is certainly up to the task at hand- making sure the composition is as vital as possible. Shivering and shimmering strings are set with wave-crash percussion work; the bass bounces and tumbles- the track certainly never relents when it comes to passion. Behind windows, the echoes are speaking loudly- you can picture loneliness and frayed emotions; doubts and regrets. The band never allows their lyrics to be dumbed-down and too direct. There are oblique suggestions and open interpretations aplenty- on each number the listener can decide their own conclusions and meanings. Black’s Forest starts with some echoed and ethereal build; aching and natural world strings that get to the heart- a perfect and still way to bring the song to life. With Country and Indie tones, our hero’s voice is reflective- he looks back at his childhood and the forest. Memories are recalled and brighter days brought in; the song’s subject is being looked at and investigated- ashes and dirt meet with mother and earth. Looking at childhood pictures, the earliest recollections- you picture the story unfolding. Farmhouses and infantile beginnings mix with current-day anxieties and concerns- it seems our hero has some burden on his shoulder. Just as I was settling into some relaxed and nourishing waters of calm, North American takes your mind elsewhere- the opening notes are a cacophony of metal and mental. Rampant and spiraling strings are backed up with punchy and determined drum beats- the bass guides the lads forward. One of the most addictive and stand-out introductions, the song is a classic Indie-Rock example. Few other bands capture you so quickly; there is intrigue and fascination from the opening moments. Between the hard-hitting notes and smashes, there is plenty of calm and measure- the song has a great quiet-loud feel to it. Like Pixies and Nirvana, Blackburn Hall are deftly able to go from tied-down and reflective to explosive and sky-scarping. Jubilant and wordless vocals get inside your head; the ever-changing composition is one of the most impressive things here. Buzzing and psychedelic rapture unites with smashing percussion- the band is hard to predict and anticipate. With a drive-time feel and upbeat nature, it is a song that is perfect for warmer evenings and long drives- the kind of song you can become immersed in. Stop Singing has some tip-toe and nervy beginnings; our hero looks at a heroine- the men she has been seen with and involved with. Our man implores (his girl) to stop singing out loud; get a grip and focus. Maybe the words hide different meanings; it is a song that contains multiple layers and possibilities- you are gripped by the grace and catchiness of proceedings. Looking at song structure- and applying it to relations and life in general- it is a clever and original composition that could apply to contemporary bands or certain people. The chorus is one of the most infectious and stunning on the album; a coda that cannot be helped but sung-along and chanted- again, it will translate well with regards festival crowds. Common Man has anything but a common sound. Although it has Indie flavours, it is a song that is hard to compare with any others- it is very much the work of Blackburn Hall. An epic and grandstanding song, it is imbued with energy and utter conviction. The decibel level raises as the band come together with force- trophy wives and good times are explored. Looking at common people and real lives, you get the sense (the band is) rebelling against certain people- those that are not in touch with the everyday struggle. With bills to pay, the common man is in the spotlight- the plight and life that is faced. The emphasis on good times keep coming back; the servants are on their knees and the oppressed are kept down- it is a song with a social conscious as well as a feel for atmosphere and memorability. A track that could well define their live sets, it is intended to get crowds singing and enflamed. A busy and packed composition, there are no loose edges or missteps- you get that symphonic and orchestral feel to things. Like Muse and their ilk, Blackburn Hall is able to crank up the drama without stepping into the realms of implausibility. Highways is another soft and tender start. Grace and passion unify emotion and intent- it is a gorgeous introduction. Our hero looks at steady flows and engines turning- promises are also put under the microscope. Our man never lets his voice do anything other than captivate and intrigue. A philosophical and deep-thinking number, Hall is joined on vocals- ethereal contributions add to the majesty and sense of beauty. The two voices- between Hall and his female cohort- blend perfectly; it is like a lover’s call. Indefatigable lust and passion comes out; you cannot escape the purity and intent of the song; it is a wonderful example of Blackburn Hall’s calling card- that diversity and unpredictability. The Attic gets things back on a springier footing; tumbling and hopping into view. Our hero found a notebook in the attic; songs are contained- numbers that were never recorded. Like a diary, our man looks back at his earlier work- Hall does not care for blue skies; preferring rain clouds instead. Upbeat rather than melancholy, there is truth and honesty here- the best and most brilliant songs contain heartache. Every love song has an element of negativity and doubt; each musician has had to face inner demons- that does not mean songs have to be morbid. Here there is a celebratory and joyous mood; the band is at their most elliptical and joyous. Combining their instruments, the trio ensures the song keeps packing in punches and surprises; the attention to detail is phenomenal. Having begun Self Titled with a bang and sense of drama, our finale sees us Walk Into The Sun. A bookend of sorts, we get events under way straight away- go in with the same force and grit as 49. Here, the vocal is in straight away; the band do not spare time with an introduction. The song has a familiar sound and presentation- sounding very much the work of the band- yet manages to distinguish itself from the herd. Packed with plenty of emotion, detail and urgency, it is another incredible number- one that closes the album with a determination. Not content to simply leave the listener satisfied and assured, the band manage to leave you wanting more- maybe squeeze is another track or two. After witnessing having digested so many different and wonderful tracks, it is hard to pick a favourite- so many are close in terms of quality and consistence- and it is clear there are no weak or filler tracks. I was left amazed at the professionalism, songwriting quality and amazing performances- after you have finished the album, you revisit particular moments and tracks. An album that is sure to grace many people’s stereos and thoughts, Self Titled is one of the most assured and stunning debut albums by any new act. It is clear the Canadians will make their name known much farther abroad- they have a sound that would be welcomes and adored in Europe and Australia. I hope the trio make a date to come to the U.K.- it will be great to hear them in the live environment and see just how brilliant they are up close. Across 11 multifarious numbers, the members of Blackburn Hall have created something stately, memorable and very distinct- an album that is very much true to their own inimitable talents and creations. The Canadian band remind me of an outfit like Massive Attack or The Cinematic Orchestra. There are core members and a tightly focus group at work- they allow other sounds and musicians add to their wonder and music. Too many acts seem far too rigid when it comes to their creations; seemingly intent on allowing no external force have an effect. If you can effectively wield guitar, bass and drums; make the best noise possible with them- good luck to you. The trouble is, so few modern acts manage to achieve anything spectacular. Modern artists like Royal Blood- having been nominated for a Mercury- have been gaining mixed review and some close scrutiny. Although Blackburn Hall do not throw too many other instruments into their mix, the sounds and effects are stunning- there is enough depth and talent to suggest huge things. Past bands like The Libertines and Supergrass could be heard (in certain moments); that youthfulness and abandon; at other times things are more restrained and focused- their album packs in so much difference and interest- few can ignore its potential and urgency. Before I comment on the players, it is worth overviewing Self Titled. I have highlighted at the additional musicians and collective feel of the band- there are not a huge amount of other players; the sound just feels orchestral and vast. At the most intimate avenues, the band are able to summon up something quite grand and swaying. The essential focus is on the three men themselves- the boys that make up the band. Their efforts, contributions and personalities ooze out of every pore; mesmerise the senses and captivate the mind- they should have a big future ahead of them. When new bands put out an album; go into the market with something full and complete- the results can often by underwhelming. One of the biggest issues- when stamping an album- is filler tracks and the weaker moments. Aside from some originality being lost- during L.P.s- there is that quality problem. I can appreciate the necessity of making your voice heard- if that voice is not interesting or consistent, then it can damage a career irrevocably. As I type I am listening to Supergrass’ sophomore album, In It for the Money. Not only is it one of the most spectacular albums of any time period, it staggers me with its consistency and quality. So much energy and pizazz crackles through; tenderness and romance is allowed- the songs are infectious and utterly delirious. Few bands have managed to meet the benchmark of that phenomenal album- present something that has so many different colours, ideas and qualities. In a way, the Blackburn Hall record seems to be a challenger- there are certainly some serious credentials at work. Our hero and frontman has a distinct voice that laces each track with shades, contours and nuance. Not just another boring and faceless singer, Hall is capable of injecting momentum, emotion and force into anything he sings- a captivating guider that gives the songs essence and vitality. His guitar work moves in directions; it snakes and weaves; contorts and cries out- matching the diversification and possibilities thrown in. There is never a lack of energy and meaning (by Hall)- throughout, he summons up passion and soul. Few frontmen (and women) are as talented and original- often you get the impression they are not putting their all into music. Hall is an artist that understands the importance of conviction and promise; the need to get inside the listeners’ heads- ingrain yourself into the consciousness. Adam Melnick is the bass man with a huge personality and sense of self- his movements and contributions are stunning throughout. Melody, rhythm and emotion is uttered forth- he is a musician that does not follow any other example. When the bass work is strong and unique, it makes the songs all the stronger and more fascinating- that is certainly the case here. Not allowing himself to slip into a comfort zone, the innovativeness and restlessness is hard to overlook- with each song comes a huge amount of effort and urgency. Acting as a backbone and heartbeat, Melnick ensures the listener is aware of his presence- he never retreats to the background. Splendidly combining with his brotherly duo, he whips up quite a sstorm- ranging from taut and tight muscle work to melodic and composed tenderness. Dan Empringham allows his sticks to conjure up a festival of sound- pummel and determination spar with coolness and stunning rhythms. Not overtly overpowering and forceful, the percussionist keeps time and composure; keeps the band in check- whilst making sure each song has a hell of a lot of vibrancy and determination. Overall, the band combine effortless and naturally- the tight performances are what make the album such a treat. As though they have been playing for decades, they are relaxed in each other’s company. What you get from Self Titled is an exploration into their minds and thoughts; the personal insights and stories are there- plenty of mystery and mystique lingers. Making sure no song comes across as minor and underdeveloped, the trio has clearly spent a long time perfecting their music. The production values are exceptional throughout; crisp and clean- not too polished and needlessly gleaming. An album that is sure to inspire a lot of new bands- not just in Canada- I hope the boys bring the 11 tracks over here- come and show London a real good time. I could use them in my fundraiser- although the distance is going to be an issue; regardless, they are one of the most intent and memorable acts I have surveyed (for a long time). Let us hope there is more music on the horizon- more chances to hear the trio do what they do best. THAT is what music can do.